I have recently been re-reading John Crawley’s Steam Wagons in Focus book and there a numerous pictures of early wagons from around the turn of the century made by companies who only seemed to make a one or two machines before failing and falling into obscurity. 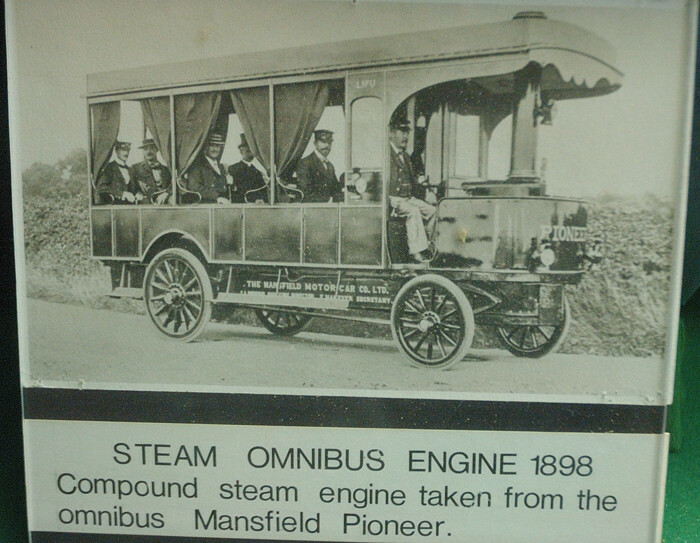 The omnibus is owned by Mansfield Motorcar Co Ltd and Pioneer is across the front. I’m not sure how many engines this company made, if omnibus was built in Mansfield or how successful they were. 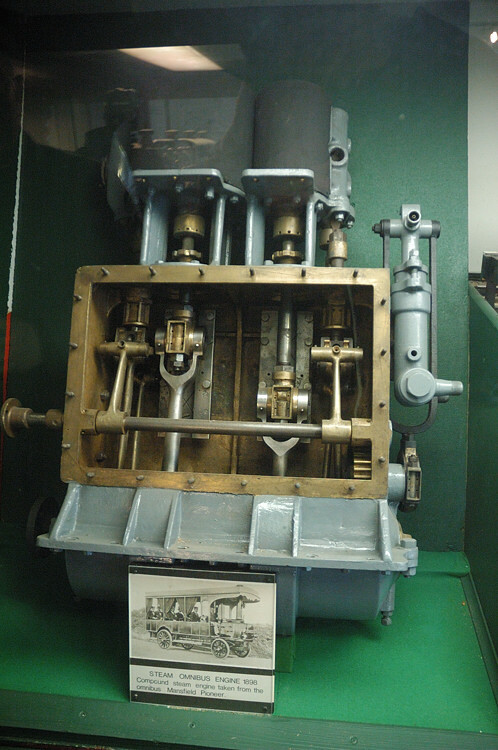 An engine such as this would make an interesting exhibit on modern rally fields without doubt. Sorry about the poor picture quality, the display was in a dark corner and behind glass. If anybody knows anymore please let me know. This entry was written by David Collidge, posted on 31 January 2010 at 1:56 pm.